Electrical engineering is present everywhere in the industry as well as in everyday life with its dazzling developments in recent years. Electrical engineering applications are numerous, highly sophisticated communications systems to renewable energy plants or automated manufacturing plants. In everyday life, electrical engineering helps improve home comfort, the development of recreational facilities or advancement of modern medicine. As an electrical engineer, you will contribute directly to the development of the technological society of the future. This program will provide you with comprehensive training of specialist design and operation of electrical and electronic systems. You gain the knowledge necessary for the study and design of technological systems and the methods of experimental work required by the engineering profession. You will also develop skills for teamwork and project management. An innovative teaching approach in the teaching of design methodology has been implemented in four design courses over the four years of the baccalaureate. Love design and develop physical systems. Have an analytical mind and synthesis. Love challenges. Have an innovative spirit. Willing to learn and keep up to date technologically. Be pragmatic and have a logical mind. Have communication skills and a good listener. Love teamwork. 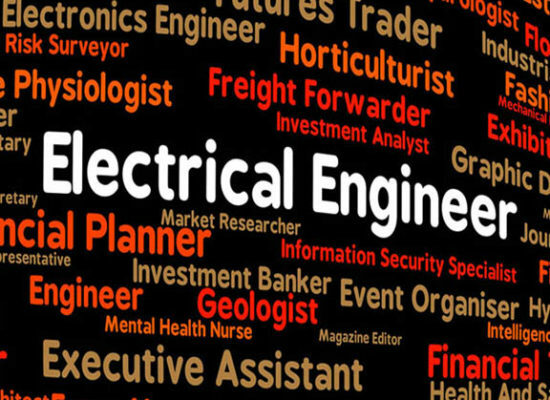 As an electrical engineer, you will have a range of career opportunities in industry, research and development, manufacturing, health, education, transport, etc. Graduates of placement rate of the program is excellent. This leads to baccalaureate graduate studies in electrical engineering in particular in the following disciplines: computer vision, telecommunications, electric power systems, control processes, optics and photonics, electrical engineering and power electronics. Basic elements: sources, resistance, inductance, capacitor, ideal transformer. Kirchhoff’s laws, theorems Thevenin and Norton, superposition. Formulation of the equilibrium equations: methods and mesh nodes. transient analysis. Circuits of the first and second order. Circuit analysis by the Laplace transform. Introduction to SPICE. This course enables the student to develop a skill in making electrical measurements. It provides an overview of the measuring instruments (voltmeter, ammeter, oscilloscope, impedance bridge, etc. ), their limitations and their influence on the measured systems. Some types of sensors and mounts required for measuring physical variables are presented. Through various measurement techniques, we address the important concepts for simplifying and circuit analysis such as identifying equivalent circuits (eg thevenin equivalents). The methods of permanent circuits in sinusoidal studies are developed and some notions about transfer functions and frequency response. This training is required for access to some of our laboratories (local), and therefore for some courses. It is required for reasons of safety technology standard. The course shows the organization of digital systems through the wired logic. binary coding and basic numbers. Boolean algebra and logic elements (doors), combiners, synthesis with doors and MSI (multiplexers and decoders). Circuits (ROM, PLA and PAL, RAM). synchronous elements (RS flip-flops, T, D and J-K, registers, counters). Analysis and synthesis of synchronous sequential circuits from flip-flops, registers or counters with or without multiplexer directly or indirectly addressed with or without external input. Microprogrammed sequencers. Practical work on mounting plate and simulations performed by software. This course introduces the main programming paradigms for solving IT problems. It covers, in particular procedural programming, functional, object-oriented and event. To illustrate these paradigms, it uses the Python language. functions of several variables Calculus: Theory and Applications. complex numbers; polynomials. Differential equations of the first order and first degree; numerical methods. Differential equations of the second order of special types. linear differential equations of order n with constant coefficients. Systems of differential equations. Applications. This course aims to familiarize the student early in his training with the synthesis, design and design, to develop early knowledge of engineering, critical judgment, creativity and motivation vis-a -vis training with a view to better integration of knowledge. The components of the methodology of design in electrical engineering and computer engineering including observation, modeling and simulation are treated during a reverse engineering project. Learning teamwork, management of a project, information search methods, written, oral and visual communication techniques is preferred. This first course of the electronic sequence deals with the analysis and design of electronic circuits using discrete components. The characteristics of passive components (R, L, C, transformer) are studied. Electronic components semiconductor (diodes, bipolar transistors, field effect transistors JFET and MOSFET) are studied and modeled. The linear basic circuits and for non-linear signal processing are analyzed. electronic circuit design methods are presented and applied to achieve the basic functions. This course presents the internal architecture of the computer and the organization of these key elements. He is preparing to operate the computer in engineering problems such acquisition and data processing, industrial control and device management. In order to release the physical and logical vision, he mainly uses assembly language. The microcomputer compatible PC used machine type from the discussion of the various concepts and in practical work. Oriented programming in C ++. Elements of syntax and semantics. Implantation of classes: encapsulation, methods and class attributes. Overloading methods and operators. Notion of contract and unit test. programming standards. Inheritance, polymorphism and class hierarchy. Memory management. Handling errors and exceptions. standard library C ++ (STL). Simple integrals, formal and numeric computation. multiple integrals, curvilinear coordinates, applications. Calculation of vector fields. Integrals on curves and surfaces: applications, traffic, work flow. fundamental theorems: Stokes, Gauss; Applications to physics. Vectors and fields; electric and magnetic fields; Lorentz force; materials. Laws of Faraday and Ampere; Maxwell equations in integral form; static case; boundary conditions. Maxwell equations in differential form; potential functions; static case; energy storage. static and quasi-static fields: Poisson equations and Laplace; capacity, conductance, inductance; magnetic circuits; electro-mechanical conversion; numerical calculations. uniform plane wave; sinusoidal solution in a vacuum, in a dielectric and a conductor; Poynting vector. Common signal definitions and properties: ramp, gate level; pulse and distribution concept; periodic signals and properties; power and energy of a signal. linear time-invariant systems in time: impulse response; convolution calculation of the output of a system. Fourier transform: Fourier series; Fourier transform; transforms conventional signals; properties (linearity, duality, symmetry, translation, scaling, convolution and multiplication); power spectral densities and energy; Parseval relationship. Applications of the Fourier transform: sampling theorem; heterodyning; amplitude modulation, frequency, pulse. Reminders on the Laplace transform. linear systems of order 1, 2 and n, delay: definition, basic parameters, gain, response to the level at the ramp and pulse transfer function, frequency response, Bode and Nyquist Black, locus, identification. unstable systems: definition, properties, response to the step. Modelization. Study of linear servo systems performance. Summary of feedback systems: clearing, regulators, PID. cascade control, Smith predictor and anticipating measurable perturbations. This course focuses on linear algebra and its application in engineering and computer science, and particularly focuses on the exploitation of IT tools. Topics covered: representation of numbers; systems of linear equations; vector spaces and linear transformations; eigenvalues and vector; distances and approximation; Markov chains. The themes are presented in a problem-solving approach, using case studies. The course is an important part of practical work in the Matlab environment. Probability theory. Usual laws for discrete and continuous variables. Functions of random variables. Point estimation and confidence interval. parametric tests and suitability. This course gives the student the fundamentals of electrical engineering that are critical to electrical engineering engineers. Single and three phase circuits are studied in continuous operation: voltage and current calculation, calculation and power measurement. Transformers single and three phase are studied in continuous operation. The conversion of electrical energy using the power electronics is introduced. The basic converter circuits are studied. This course aims to deepen the education of the student through synthesis, design and design. The student thus develops his knowledge of engineering, critical judgment, creativity and motivation through a better integration of acquired. It addresses themes modeling and analysis during a project. teamwork is favored, the project management, information research methods and written communication skills, oral and visual. Using engineering tools to model and perform several aspects of the project: modeling and simulation (Matlab and Simulink), plans and realization of circuits (Altium), finite element modeling (FEMM). This course focuses on the analysis and design of circuits and integrated systems including operational amplifiers, diodes and transistors of different types. It covers the manufacturing processes of integrated circuits, simulation, SPICE modeling and reading data sheets. This course also focuses on the operational amplifier and the application of the negative and positive feedback. The analysis and design of operational amplifiers and basic blocks, the mirrors and the current sources are seen in detail. In addition, these concepts are applied to the synthesis of analog and digital functions including amplification, filtering, sampling and signal conversion. Among others, active filters, oscillators linear, non-linear integrated circuits, and various logic families are studied in detail. Study of the three main types of rotating electrical machines, permanent and dynamic system with notions of control drives. synchronous machine. Induction machine asychrone. DC machines. Applications and industrial operations. Torque notions of speed, power of these machines. Models and choice of electrical machines. Special machines: universal motor, stepper motor, linear or single-phase motor. security issues; standards. Plane waves: solution in different materials; reflection and refraction; normal and oblique impacts. Transmission lines and distribution and propagation parameters settings); determination of the parameters; temporal analysis transient (resistive and reactive loads, discontinuities, initial conditions); sinusoidal analysis steady: standing wave pattern (arbitrary charges, impedance matching, Smith chart, lines with losses). Guided waves: TE and TM solutions; cutoff frequencies; dispersion and group velocity; metal waveguides with or without loss; resonant cavities. antenna parameters. Discrete signals: definition, common signals. discrete systems: definition, linearity, invariance, impulse response, causality, interconnection, stability; difference equations with constant coefficients; recursive and non-recursive structures; of order 1, 2 and systems. discrete systems Resolution: basic inputs and basic responses; generalized solution. Z transformation: definition, convergence, inverse transformation; properties; system function (difference equation, poles and zeros, locus, frequency response, impulse response causal and stability). discrete Fourier transform (DFT): definition, convergence, properties; frequency response, convolution and product compression and interpolation; Parseval relationship; application to signal analysis; spectral resolution. Digital Fourier transform (TFN): periodization of the signal and sampling the spectrum; relationship between the DFT and the TFN; properties. Calculation algorithms: computation of the DFT; the fast Fourier transform (FFT); cutting time and frequency; general form of the FFT. The course aims to provide an overview and analysis of the core functions of the various analog and digital telecommunications systems, and to deduce the minimum requirements. The course covers both the concepts of systems, signals, various analog and digital modulations and techniques and ways to spread on which these systems are based. The course is the first real application of the theory of signals and systems currently in use. Economic engineering allows the decision making regarding operations, and solving specific problems. It lets you choose among several options, the one that is the most economically viable. It is intimately related to Microeconomics. The primary objective of this course is to convey to the engineering student several principles and methods of economic analysis from the perspective of an engineering project. The course covers the following concepts: the time value of money, cash flow analysis, comparison of opportunities, issues associated with certain methods of analysis, methods of depreciation, replacement analysis, taxation, the cost of capital and cash flow after tax, inflation and uncertainty, decision making. Basic structure and properties of semiconductors. Density and movement of charge carriers in semiconductors. PN junction: direct and inverse polarization, capacity, transient, breakdown. Junction metal-semiconductor. junction diodes. bipolar transistors: transistor effect, manufacture, characteristics, polarization, amplification, switching, thermal effects. Field effect transistors: junction (JFET) and insulated gate (MOSFET). optoelectronic components: photodiode, phototransistor, photovoltaic cell, light emitting diode (LED), laser diode. charge-coupled components (CCD). Integrated circuits: structure, manufacturing, modeling. This course aims to deepen the training of the student from synthesis, design and design in order to develop his knowledge of engineering, critical judgment, creativity and motivation vis-à-vis the training with a view to better integration of knowledge. The methodology and optimization are the main topics on the occasion of a project. Teamwork, the project management, information research methods, written, oral and visual communication techniques are also favored. Numerical computation. Linear algebra. Solving nonlinear systems. Approximation. Integration and differentiation. finite differences. Differential equations of the first order. This course is for students of engineering bachelor. It aims to introduce the future engineer the concept of sustainable development and the different underlying philosophical ideas. It also aims to bring it to a process of reflection on the meaning of the engineering profession in a context of sustainable development has gradually been incorporated into the regulatory framework of the profession. Based on current issues that engineering is facing, this course engages students in a systematic reflection on the strengths and limitations of the tools available to participate in the sustainable society project which now requires him to consider the issues economic, social and environmental. Professionals today are faced with situations that require ethical skills and knowledge that go beyond the technical knowledge specific to their area of expertise. On the one hand, professionalization is a shifting phenomenon, which requires a reflection on the meaning of work and more specifically on professionalism. On the other hand, although the professional practice is regulated by a code of ethics, professional are asked to have an ethical sense of responsibility. Through case studies and analysis of the various issues related to professionalism, the course offers an ethical reflection on professional practice and the conditions under which this practice occurs. This course aims to synthesize the achievements of the training of the student during the realization team of a major project to integrate various components of electrical engineering or computer engineering in the context of a process of engineering. This approach includes the definition phases of fragmentation, implementation, validation and documentation. Emphasis is particularly placed on the success of the project delivery on time and on meeting customer requirements for compliance with specifications. Continuous process control (PID controllers, anticipation, waterfall, Smith predictor, stresses, internal model control), defects and non-linearities of industrial processes, data acquisition system (sampling, reconstruction filtering), and discrete systems CNC (z-transform, discrete controllers) technology (elements of a control system, sequential control, instrumentation, etc.). Characterization of multivariate methods: singular values, directionality, relative earnings. distributed algebraic order. algebraic multivariable control with decouplers. Control with constraints. Representation of states: continuous and discrete representation, observability and governability. algebraic order by returning states: pole placement, digital integrators. Designing an observer. Introduction to predictive control. Review the properties of linear time-invariant systems in time. nonparametric methods: response to the level or the pulse, frequency analysis, spectral analysis, correlation analysis. Linear Regression least squares estimation. Input signals: level binary pseudorandom sequence. Methods based on the prediction error: optimum prediction, least squares, generalized least squares, output error maximum likelihood. recursive identification: methods based on the prediction error. Identification in closed loop: terms of identifiability. Model validation and selection of its structure. Practical aspects: pre-filtering, sampling period, data processing nonzero average or drift. This course aims, firstly, to introduce the basic principles of the main sensors useful industrial vocation engineers and scientists. Secondly, it sends the student with extensive knowledge of imaging systems in various spectral bands. After the course, the student will choose and assemble the elements of a measurement system. He will also characterize systems capture images in response to a specification of a particular application. groups of projects illustrate the studied theories. This course continues the electronic sequence by addressing the different noise reduction techniques in electronic circuits, as well as signal integrity. By integrating circuit concepts to concepts of electromagnetism, it covers: the limit frequency passive components; the parasitic elements in the circuits; various undesirable coupling mechanisms (inductive, capacitive, resistive, radiation); the ground loops; the common mode currents; decoupling the power supplies. It features noise reduction in circuits by filtering techniques, decoupling, grounding, differential signaling, coaxial cables, twisted pairs, Faraday cage. These concepts are used for any engineer working in the field of analog and mixed electronic and help demystify the problems of noise and electromagnetic compatibility. This course covers some concepts digital processing of the signal: the synthesis of digital filters, spectral estimation, parametric methods of digital signal processing and adaptive signal processing. It allows students to master advanced techniques by applying them to real signals using digital signal processing cards. Random signals, review of probability theory, random variables, random processes, mathematical representation of the noise. analog systems with noise, amplitude and frequency modulation, calculation of noise in communication systems. Digital transmission system, baseband system, probability of error, matched filter, digital modulation, comparison. Noise in coded systems pulse, PCM, quantification, delta modulation, effect of thermal noise. Elements of information theory and coding, entropy, Shannon’s theorem, error correcting codes, ARQ systems, coded modulation. This course provides basic knowledge on the operation and the operating conditions of the main elements of optical communications systems. It addresses the characteristics of the propagation of light in an optical fiber, sources of semiconductor light photodetectors, optical amplifiers and connectors. It introduces the student to devices and measurement techniques to assess the properties of these components. It describes the digital coherent optical communications having the modulation formats, the wavelength-division multiplexing and network architectures. It discusses the design of a system for optical communications and assessing the performance of a link in the error rate measurement. It deals with current issues such as deployment of fiber to the home. Antennas: parameters, principle, dipole and monopole Yagi-Uda, antenna aperture, antenna array. Land transport: possible modes, clear, diffraction screens, tropospheric refraction, links microwave, oven space, sky wave. This course aims to provide students with a solid basic training optoelectronics. The principles of managing the operation of such devices are studied to ensure understanding of their operation, while considering their limitations. Adequate models of the physical game to “system” behavior, are developed to predict the performance of optoelectronic components. An overview of the products of modern technology complete the presentation. Introduction to computer networks. Network architecture. OSI model. communication protocols. digital transmission techniques. Network performance. Static converters of rectifiers type, not autonomous inverters, dimmers, choppers and autonomous inverters are studied in structures, operating characteristics, design (design, protection, control and servo). Applications to transport high-voltage direct current, electronic control of the electric machines and the various uses of static converters for power frequency are discussed. The technology power diodes, thyristors, triacs and transistors IGBT and GTO is processed from the user point of view. This course covers the fundamental technical aspects of the transport networks of electric power to alternating current and direct current. network analysis methods: phase analysis, system unit, symmetrical components. Transmission lines: Line parameters, models and equivalent circuits, steady state analysis, transportable power line, serial and parallel compensation. Power flow: network equations, matrix admittance by successive iteration solution. Analysis of symmetrical and asymmetrical faults in an electric network. transient stability: analysis simple model criterion equal areas. Network protection: instrument transformers, circuit breakers, relays, protection of lines and transformers. Analysis of the operation of distribution networks and study of the interaction problems between the network and the loads connected to it (electromagnetic compatibility). symmetrical components, per-units. The different types of linear and nonlinear loads. The different types of disturbance in the networks and their cause. Electromagnetic compatibility. Behavior of default regime networks. protective equipment. relief networks. Problems of grounding. This course introduces the working principle and characteristics of variable speed drives for DC and AC in industrial applications. Elements of a variable speed drive. Characteristics. performance criteria. Adjusting the speed of DC motors. Powered by AC-DC converters with thyristors and choppers. Control of DC motors. Adjusting the speed of AC motors (asynchronous and synchronous). Powered inverters and clycloconvertisseurs. Motor control CA. Laboratory Familiarisation with the following topics of photonics: the optical aberrations and their corrections; diffraction, interference, and Michelson interferometers and Fabry-Perot; spectrometers prisms and networks; polarization, birefringence, the electro-optical effect, magneto-optical media; modulators and isolators; lasers and optical amplifiers; guided optics and the study of fiber optic components; CAD software guided optics; optical fiber characterization systems and integrated optical waveguides; photometry. Guided Optics: Electromagnetic Theory of the plan guide (TE-TM); geometric model; coupling of two guides plans; introduction to integrated optics. Integrated Optics Laboratory: fabrication and characterization of a plan guide; study the coupling of two guides. optical fiber means propagation of a pulse in a dispersive medium; electromagnetic theory of fiber step-index; Introduction to fiber optic communications; introduction to fiber optic sensors. Laboratory of optical fiber: characterization of a single mode and multimode fiber; construction of a fiber optic communication system; fabricating an optical fiber sensor. Topics covered: electromagnetic waves; light polarization, wave propagation in media; structural and inherent anisotropy; Electro-Optical; magneto-optical; acousto-optical; introduction to nonlinear optics. Objectives: at the end of the course the student should be able to analyze the interaction between the anisotropic medium and polarized light, manipulate different polarization components and design electro modulators, magneto-optical and acousto. Model of the classic oscillator and stimulated emission. Electric dipole transitions. Evolution equations. laser amplification. optical cavities and feedback. laser beams and types of resonators. Applications of lasers in materials processing, remote sensing, telecommunications and medicine. The course allows students to understand the issues of the use of optical components. At the end of the course, students will be able to understand optical design process and how to use an optical design software. The course emphasizes the geometric optics, optical materials, aberrations, the image quality and design of optical systems. This course provides the essential tools for the analysis of computers. Special attention is given to how the technology evolves over time while providing empirical constants for the design of computers. We learn to define the components thereof and to understand their modes of interaction. The main arithmetic algorithms, including those floating point are studied as well as the conventional structures processors. The different hierarchies of computers and their management modes memories are compared from the viewpoint of performance. Future trends in computer systems architectures are studied and compared with conventional structures. This course deals with the analysis and design of digital systems using programmable logic, microprocessors and configurable interface circuits. The student learns to develop systems based on microprocessors and interface circuits and control methodology of industrial applications software development and operation of appropriate language. The course explains the fundamental components of a microprocessor system and its interfaces: instruction sets, memory, I / O, bus and synthesis of all these elements. The course also presents several aspects of embedded software development, from programming / O General purpose the implementation of an operating system. History and evolution. Roles, components and functions of an operating system. Protection and system performance. necessary material structures. Process and allocation of CPU. Memory management and virtual memory. secondary memory and cache. Management of inputs / outputs. filesystems. coordination processes and deadlocks. concurrent programming. Case Study: UNIX, DOS, VMS, VM, WINDOWS. This course focuses on the analysis and design of circuits and microelectronic analog and mixed systems with active and passive components. It covers manufacturing, simulation and modeling of CMOS and BiCMOS circuits and presents several common analog and mixed functions: operational amplifiers, A / D and D / A. The course presents the basic principles, the references and current mirrors, and introduces several advanced analysis and design techniques. These techniques include noise modeling in integrated circuits, topologies of operational amplifiers in multiple stages, the switched capacitor circuits and delta-sigma modulators. This course provides specialized training on new biomedical devices focusing on techniques for bio-instrumentation and the design of microsystems. Particular attention is paid to the analysis and design of integrated circuits and microelectromechanical systems (MEMS) in the context of many emerging biomedical applications. The course covers the implantable electronic systems, brain-machine interfaces, laboratories on chips and several types of biosensors, which bioelectrodes, the molecular analysis of microarray, microfluidic systems and biomicroélectromécaniques systems (BioMEMS). The course also covers micro-machining technologies and new biocompatible materials and addresses many practical aspects. Knowledge of basic concepts of microfluidics becomes increasingly necessary with the emergence of hybrid technologies, which are a fusion of microelectronics, microfluidics, MEMS and others. This course is an introduction to the theory of microfluidics and its applications. It is not limited to the introduction of the theory of microfluidics, but it also presents some biological applications. Labs allow students to apply the theory in view the current addressing some aspects of microfluidic manipulation and modeling of some phenomena. It also looks at examples of fluidic manipulations, as dielectrophoresis and magnetophoresis. This course is an introduction to the design of integrated circuits (IC) dedicated. It essentially covers the design flow of dedicated VLSI chips, as well as related topics, particularly with respect to CMOS technology. The course is mainly divided into five parts, according to a changing bottom up, that is to say the transistor SoC. The teaching will be enhanced by a series of practical laboratory work that affect the analog and digital simulation, as well as a mini-project design. This course focuses on the design of digital systems on a chip reconfigurable FPGA (Field Programmable Gate Array). The material covers the design flow of digital systems that is based on an advanced hardware description language (VHDL); the VHDL language in structural and behavioral modeling; simulation techniques; logic synthesis; operators and arithmetic representations of a digital circuit; the IP cores and methodology of SoC (System-on-chip or SOC). This course focuses on the study of mobile computing. Designing Applications with GUI and interconnection with different sensors (accelerometer, camera and GPS). Presentation of the development model used in interactive applications such (Model-View-Controller) and its implementation in iOS and Android. Presentation of the different security rules and permissions that mobile system offers the user. Presentation of the web-scale applications, whether interaction or complete design in the site. Introduction to marketing applications, both on iOS than on Android. Opening to the future of mobility, its future applications and innovations to monitor. The course is an introduction to the field of computer vision. It covers the basics and covers the basic principles from the formation and image processing to the elements of recognition. Particular attention is dedicated to stereoscopic vision, and more generally to extract a representation of the environment from a set of views. A balanced approach between theory and practice is favored. Content: imaging, projective model of the camera and data acquisition systems, photometry, color, basic image processing including linear and nonlinear filtering, edge detection and characteristics, calibration, projective geometry, stereoscopic vision, reconstruction from the movement, segmentation and clustering, tracking objects in video sequences, pairings, hypothesis generation, classifiers, applications. Computational photography is a new area that lies between computer vision, computer graphics, and photography. It uses computational techniques to compensate for the limitations of traditional cameras and improves the way we capture and manipulate the visual data and how we interact with them. The course will explore the formation of images, device models, creating panoramas, the synthesis of texture, high dynamic range (HDR) images, intelligent scaling, morphing, etc. He turned on the practical application of concepts by many labs in the Matlab environment. The main objective of this course is to train the student in the design of large software applications as the basic principles of software engineering and object-oriented programming. The “Unified” approach combined with learning UML is presented and practiced in a project design and implementation of a software system performed in groups. The Java programming language is used as an implantation tool. Design and Analysis of Algorithms: notions of order; behavior of the best, average and worst case. Design and development of algorithms: notion of abstract data types and modular, generic programming, data structures: lists, stacks, queues (with and without priority), trees, graphs, scatter tables and heaps binary, sorting algorithms. localization, navigation, exploration and mapping of the environment. The student admitted to the Engineering Institute of Electrical Energy (IEPE) must pass the course GEL-4102 and GEL-4150, succeeding one of the following courses: GEL-3100 GEL 3150, GEL-3301 and Gel- 3302, and pass an additional course from: GEL-3100 GEL 3150 GEL 3301, GEL-3302 GEL 4100 and GEL-4151. The student admitted to the entrepreneurial profile should follow the ENT-3000 courses and ENT-3010. This course aims to develop the student’s ability to understand the operation of an accounting system, since the registration of an operation in the accounting records, to the preparation of a complete set of financial statements. Thereafter, it will be able to read, understand, interpret and analyze the summary financial statements. He will discover the limitations and constraints of financial accounting and include the accounting policy choices that are needed. Finally, he will learn how accounting information can respond to the needs and concerns of key users. The purpose of this course is to introduce students to the thought and the legal vocabulary by making him aware of the legality of all activities necessitated by the administration of a business and the business in general. This course includes a general introduction to business law and study of the law of property, of contract theory, as well as collateral and guarantees that are the basis of credit and finance. This introductory course in entrepreneurship is for any student in the first cycle. It aims to develop a sense of initiative and entrepreneurship among students, to help them discover and exploit its full entrepreneurial potential. The knowledge imparted to students relate to both the entrepreneur and the creative process by which he leads his project, whether it is a social project, commercial, cooperative, artistic or otherwise. Concrete examples are presented to illustrate the passion of entrepreneurs, their need to create and innovate and action orientation. Available in classroom or distance, the course plays a key role in the development of entrepreneurial skills. The course includes the realization of an entrepreneurial sketch to sensitize students to the realities of an entrepreneurial project and develop a more balanced view of the challenges to consider. The sketch is not a complete business plan, the progress of the course remains primarily the discovery and development of the entrepreneurial potential of the student and not the creation of a company. This course is an introduction to the microeconomic analysis applied to business management. It focuses on understanding and application of relevant economic concepts to the business world. The concepts covered include the basics of economics, optimization, supply and demand, incentives of the different economic agents, the structure of production costs and market functioning. The main goal is to improve decision making by highlighting the economic factors that influence the choices of individuals and those of companies and their performance. This course introduces the logistics function of a manufacturing organization. The content focuses on the different types of production systems, inventory management, aggregate production planning, materials planning requirements, project management, scheduling, quality management, maintenance, planning, transportation management, site selection. This course aims to make students aware of the project concepts and project management to then make it operational in the feasibility analysis of a project, planning and monitoring. After the course, the student should: have developed an analytical approach to the feasibility and planning of a project. He should know the project planning and control techniques: Method CPM, PERT networks and GANTT chart. It should be introduced to the use of IT tools for supporting project management: MS Project and Excel. This course focuses on major decisions in marketing. Most of the course consists of a presentation of the variables of the “marketing mix” (product, communication, distribution and price) in a management perspective. Then, integrating all the strategic planning activity is carried out by the students, using the method of case analysis, and, in particular application areas: services marketing, international marketing, industrial marketing, marketing innovation and public and social marketing. This course aims to present an overview of the industrial relations field and different aspects under which it can be studied. After a study of the nature of industrial relations and their development, exposed that the system by means of labor relations with all its components. In addition, this course presents the main sources of bibliographic reference in industrial relations. This course presents the main aspects of managing an organization. First, the basic concepts of management will be addressed; organization as a system, decision making, strategic and operational planning, organizational structure, management and control. Secondly, the human resource function will be explored and key human resource management activities will be described and analyzed; workforce planning, analysis and organization of work, staffing, evaluation, training, compensation and organizational climate (quality of work life). The BTC-1000 course, GSF-1020, GSO-1000, MNG-1000 and RK-1000 are also available in English: BTC-1106, GSF-1025, MNG-1002 and RK-1101. The student admitted to the entrepreneurial profile must follow the course ENT-1000. The objective of this course is to introduce students to the basic concepts of the various disciplines related to the assessment of health problems and safety and to familiarize him with the means of intervention that could improve this situation. Contribution of different disciplines: industrial hygiene, industrial toxicology, epidemiology, safety, ergonomics, industrial psychology. Structures and health intervention mechanisms and safety: legislation, the CSST, the public network, unions and employers. Successfully complete ANL-2020 Intermediate English II. The student who demonstrates that he acquired this level (TOEIC: 675) during the test administered by the School of Languages can choose an English graduate courses or, if it acquired the Advanced level English II ( TOEIC: 825), one in another modern language. The student must have earned 80 credits of the program and have an average equal or superior program to 3.67 / 4.33. The profile is satisfied with the success of the following: (TBD). The mandatory course GEL-1001 is part of the profile. The student must be admitted to the entrepreneurial profile, Certificate in Entrepreneurship and SME management or firmware developing entrepreneurial skills and hold at or above average to 2.67 calculated on 24 credits or more in a program to register in this activity. The entrepreneurial portfolio enables students to develop a project related to their field of study, to establish a network of contacts and thus improve their entrepreneurial skills. Personalized support is provided by frequent meetings with a counselor Entrepreneurship throughout the project development period. Coaching facilitates the process of the student allowing him to validate and deepen his project idea, to focus its efforts and develop its action plan. Activities carried out in a university abroad, under international profile, which will be equivalencies student’s file upon presentation of the official transcript of the activities.